The Mexican Revolution began in 1910 and ended in 1920. The triumph of the Mexican Revolution intensified the desire for a deeper transformation of Mexico and thus the people demanded a radical change driving a social, political, and economic revolution. From this desire, the Muralism movement arose. It was an art movement that begun in the early 20th Century and was conceived by a group of artists and Mexican thinkers. 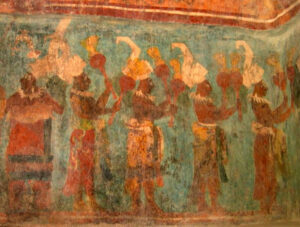 Mexico has had a long tradition of painting murals beginning in pre-Columbian times, with the Olmec, Maya, Teotihuacan civilizations. During the colonial period, murals were mostly painted to evangelize and reinforce Christian doctrine. Many changes were implemented when President Álvaro Obregón came to power. 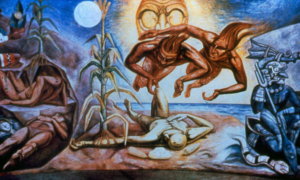 Three million hectares of agricultural land, owned by wealthy Mexicans, were distributed to poor farmers; educational programs were improved and funds were set to promote the arts. The Muralists who proudly represented Mexico’s indigenous past on their paintings used most of these funds. In 1932 President Obregon appointed writer José Vasconcelos as Secretary of Public Education. Dr. Atl is considered the architect of the Muralism movement. In 1906 Dr. Atl issued a manifesto calling for the creation of a monumental public art movement and founded the Artistic Center of Mexico City to express their ideas through murals. Artists and intellectuals wanted to create a new national identity and sought to consolidate the social justice ideals set forth in the revolution. Through their art, they reinforced nationalism and thus intended to change the prejudice that existed against the Mexican indigenous groups. They promoted the accurate idea of a Mexican identity as a mestizo nation, with the indigenous people promoted as well as the Spanish ancestry. 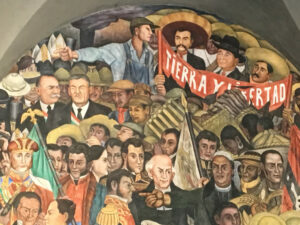 Many murals were produced in most of the country from the 1920s to 1970, generally with themes related to social justice and nationalism focused mainly on the Mexican Revolution, the mestizo identity and the pre-Columbian cultural history. 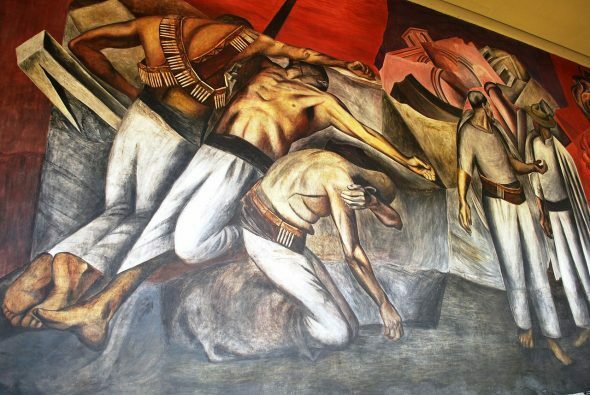 The three most representative artist of the Muralism movement, Los Tres Grandes, were Diego Rivera, Jose Clemente Orozco, and David Alfaro Siqueiros. Mexican Muralism is alive and well. Many young artists are crossing over from spectacular street art to contemporary murals. Some of these great street artists are Edgar Flores Saner, Farid Rueda, Favio Martinez Curiot.